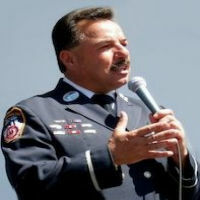 Buried alive twice on September 11, 2001, this smart, funny, and now retired FDNY lieutenant shares his amazing stories and strong messages that attendees will never forget. The lessons Joe learned on and after September 11, 2001, inspire attendees to thrive through change under any circumstance, and to accept and handle unexpected stress and adversities – redirecting them with positive empowerment and reaching their goals and dreams. Attitude and perseverance are everything. Sept 11th, 2001, is the day where the world stood still. Buried, crushed and bleeding beneath the tons of rubble of the South Tower, Joe wondered what life could be if given just one more day. He was miraculously found alive by rescue workers with multiple fractures, a massive brain injury and barely breathing. The light of day was something he always took for granted. Within ten minutes of being rescued, Joe was buried again under the debris of the second collapse …the North Tower. Joe now travels the world sharing his amazing and inspirational story of survival. A real and regular person, he shares his lessons of managing fear under the most horrible situations. The lessons Joe learned on and after September 11, 2001 inspire attendees to thrive through change under any circumstance, and to accept and handle unexpected stress and adversities – redirecting them with positive empowerment toward reaching their goals and dreams. Attitude and perseverance are everything. **This program will be customized by Joe to meet your goals for the session. Joe Torrillo was a 25 year Lieutenant with the NYC Fire Dept. who is now retired on disability. He spent the first 15 years of his career in Engine Company # 10, across the street from the South Tower of the World Trade Center. While recuperating from a severe injury on New Years Eve of 1996 going in to 1997, Joe was assigned to convalesce in the office of fire safety education. Eight months into this “light-duty” position, Joe was ultimately named the Director of this public-based program. In his new position, Joe would co-design a children’s state-of-the-art fire safety learning center, which opened in October, 2000. This new venue, “The Fire Zone “, in the heart of Manhattan, was nominated and won the coveted “THEA” award at the Emmy’s in 2002. Shortly thereafter, in January of 2001, Joe worked on a project with Fisher-Price Toys to help design a new children’s “action figure”, which was part of their line of “Rescue Heroes”. This new action figure was named “Billy Blazes” and was a likeness of a NYC Firefighter, who was an addition to their other “Rescue Heroes “. In conjunction with the Executives of the Fisher-Price Corp., Joe chose the “Fire Zone” as the location for the press conference to introduce “Billy Blazes”, and then keeping with a safety theme, ironically chose the date of September 11, 2001, because 9/11 is the Emergency phone number in New York City. On the way to the press conference, that was set for 9 a. m., Joe was about an eighth of a mile away from the World Trade Center, when American Airlines Flight #11 struck the South Tower at 8:46 a.m. Fearing for his Firefighter brothers in Engine Co. 10 and Ladder Co. 10 across the street from the Towers, Joe diverted to the scene to render assistance. Three minutes after donning borrowed bunker gear, at 9:03 a.m., the second jet, flew over Joe’s head and slammed in to the South Tower. With a background in Structural Engineering, Joe made an immediate assessment that everyone above the fire was doomed to death, and the buildings would collapse. While Joe was involved in the rescue operation, the South tower fell at 9:59 a.m. Joe was buried alive with a fractured skull, broken ribs, broken arm, crushed spine and heavy internal bleeding. Shortly after being found alive in the rubble, they removed Joe on a long spine board and placed him on the deck of a boat on the Hudson River, with the expectation of getting him to a hospital. As emergency personnel were holding his split scalp together, the North Tower fell and buried Joe alive again. He was alone in the engine room. About 45 minutes later, Joe was once again rescued from the debris, and taken across the Hudson River, where he awoke in a hospital room at the Jersey City Trauma Center in New Jersey. Because he was wearing a borrowed set of firefighting clothing with the name Thomas McNamara, Joe was misidentified by that name, and Joe was declared missing for 3 days. By the time the sun set on the evening of September11, 2001, Joe had miraculously survived the collapse of both Towers, but with life-long injuries. Sadly, “Billy Blazes” would come to represent the 343 New York City Firefighters who had made the supreme sacrifice of their lives in the rescue effort. Today Joe Torrillo travels the world as a professional speaker with a quest to make our country the “Re-United States of America”, resurrecting patriotism, trumpeting the men and women of the Armed Services, mentoring adolescents, and inspiring audiences of all sizes to embrace change and never give up on their dreams. Joe has a wide variety of topics to choose from which are all both inspiring and high in content. His memorable programs are an excellent fit for ANY type of organization. Joe’s speaking engagements very often end with a standing ovation, followed by a long line of attendees excited to meet him and shake his hand.